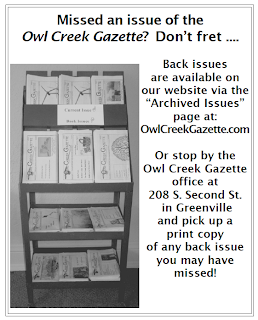 Owl Creek Gazette: Missed an issue of the Owl Creek Gazette? Don't fret! Missed an issue of the Owl Creek Gazette? Don't fret!